Before converting a Map to a List in Java, we should be very clear about these data structures which are widely used in Java. So let's begin with Map. What is Map? Map is an Interface in Java which store key and value object. It's Java representation of popular hash table data structure which allows you to search an existing element in O(1) time, at the same time also makes insertion and removal easier. We use a key object to retrieve the value object by using hashing functionality provided by Map. As we have seen in how get method of HashMap works, In Java, equals() and hashcode() method are an integral part of storing and retrieving object from it. The map allows duplicate values but no duplicate keys. Map has its implementation in various classes like HashMap, ConcurrentHashMap, and TreeMap. The Map interface also provides three collection views, which allow a map's contents to be viewed as a set of keys, collection of values, or set of key-value mappings. Now let's understand what is a List in Java, It is also an interface to provide an ordered collection based on index. Elements can be inserted and deleted using positions and duplicate elements are allowed in the list. There are multiple implementation of List is available in Java e.g. ArrayList, which is based in array and LinkedList which is based in linked list data structure. Now let's see a Java program which is used to convert a Map to List. Here is our sample program to convert a Map to List in Java. This example is divided into three parts; In first part we have converted keys of HashMap into List. Map allows you to get a view of all keys of Map as Set because duplicate keys are not permitted. If you know how to convert Set to List, you can easily convert this Set of keys into List of keys. In 2nd example, we have converted all values of Map into List. Map provides a Collection view of all values, because values can be duplicates. By using copy constructor of Collection itself you can easily convert this Collection of Map values into List. In 3rd example, we will see how to convert all entries of HashMap into List. Just like keys, Map also provides a Set view of all entries. Similar to earlier example, we can also store all entries into List. 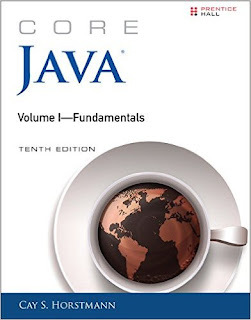 You can also read Core Java Volume 1 - Fundamentals by Cay S. Horstmann to learn more about different collection classes in Java. You can see that how mappings from a Map is converted into a List which is printed in the console. Here is also a hierarchical diagram of Java Collection framework, you can see Map is not a subclass or subinterface of Collection, they are from the sepearte hierarchy. That'a all about how to convert Map to List in Java. There are many situation when you need this e.g. passing Map's content into a legacy or library method which accept List. You can use this example to convert a hash map to list using its key value ,by using key we make ArrayList of keys also ArrayList of values . If you like to know more about data structure provided by Java in Collection framework, see top 5 data structures from Java API.